Home PREPARING FOR PREGNANCY How Do You Know When You Are Ovulating? The women wishing to get pregnant often ask how do you know when you are ovulating. 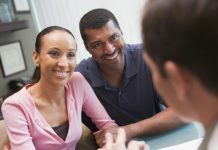 The truth is that every couple has 20% chances of conceiving during each cycle. If you know when you have your fertile window, you can increase your chances during each cycle. Keep in mind that the fertile window lasts for only about 12-24 hours per cycle. Generally speaking, ovulation takes place in about the middle of your cycle. 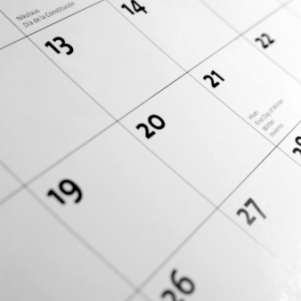 If your cycle lasts for 28 days, ovulation occurs on the 14th day. However, the length of women’s cycles varies between 25 days and 35 days. It is also possible for the day of ovulation to vary from one cycle to the other. One of the things you could do on how do you know when you ovulate is to keep a menstrual cycle calendar for a longer period of time. This way you will see the general patterns of your ovulation. However if you have an irregular menstrual cycle you will need to pay even more attention to the other ovulation signs. About 20% of all women get a sign when they ovulate. This comes in the shape of cramps or pain in the lower abdomen or maybe even some spotting so they don’t have to ask how do you know when you ovulate. The pain usually affects only one side of the abdomen. This is known as mittleschmerz. The signs are caused by the fact that there is a mature egg being released from the ovary. If you listen closely for sure you will get the message your body is sending you. In this case, consider measuring your basal body temperature. For this, you need a special thermometer. You should take your temperature in the morning before getting up and after you slept for at least 5 hours. Your BBT fluctuates during your menstrual cycle according to the hormone levels. When thinking about your day of ovulation you should know that during the cycle’s first half estrogen dominates while during the second half there is a peak of progesterone. This is the hormone that makes your BBT rise since it gets the uterus ready for the fertilization of the egg. As a result the body temperature is lower in the first half and it gets higher in the second half of your menstrual cycle. Tracking your BBT should last for a longer period of time because one month doesn’t offer you enough information to be able to predict when your next ovulation will take place. On the other hand, if you chart your BBT for several months you will see the general pattern of the date of your ovulation. You will be able to predict your ovulation in the following months and so it will become easier to get pregnant. If you are interested in how do you know you are ovulating, you should start analyzing your cervical mucus. Keep in mind that during ovulation the mucus will have the aspect of raw eggwhite.